Cities Connection Project | SUR, PUBLIC HOUSING COMPLEX. ZURICH-ALTSTETTEN. 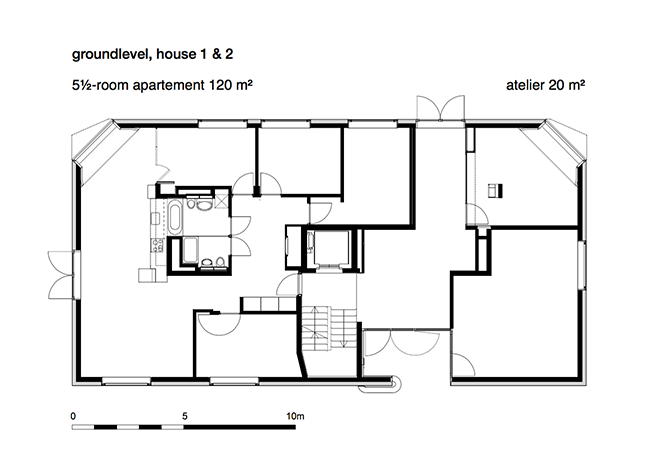 „Sur“ is the winning project in a public housing competition by the City of Zurich. 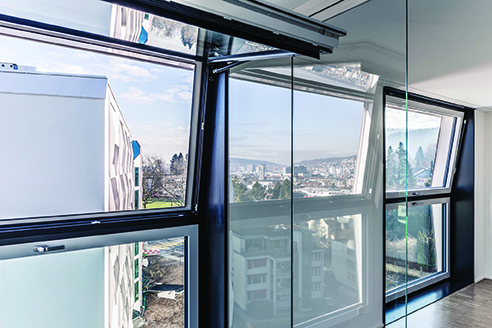 The building lot in Zurich-Altstetten at the foot of the Üetliberg is situated in a heterogeneously scaled part of the city. Seven buildings with 105 apartments in total occupy the parcel in such a way that the former garden landscape, consisting of existing meadows and trees, will be preserved. The housing regulations have been utilized to optimize the quality of the urban setting in regards to free space and visual permeability as opposed to maximizing the degree of exploitation. 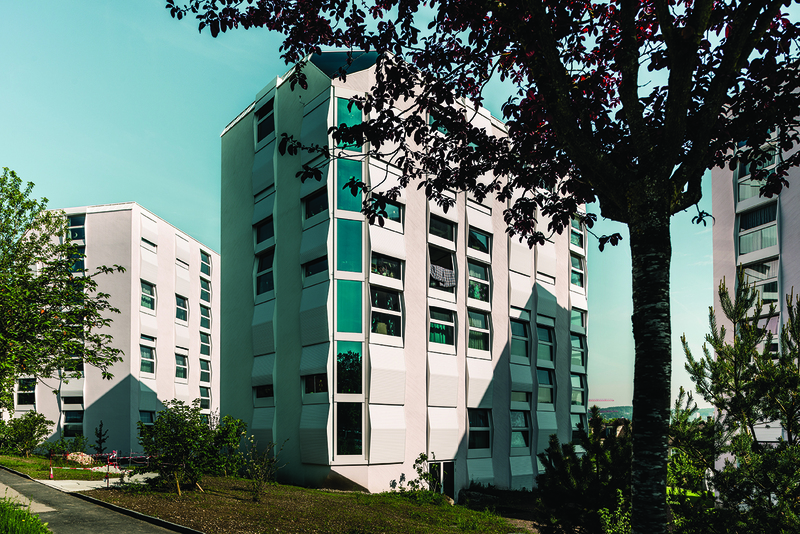 The seven-storey buildings are organized in layers of two flats per floor and provide an orientation of all apartments towards three sides, thus offering a wide range of changing light-atmospheres in the course of a day and diverse views over the city of Zurich.